The exposure time depends on day or night view. Field of view about 105° x 75° or less, depending on the focal length of the lens. The view is south. Night shots have an exposure time of about 15 seconds. 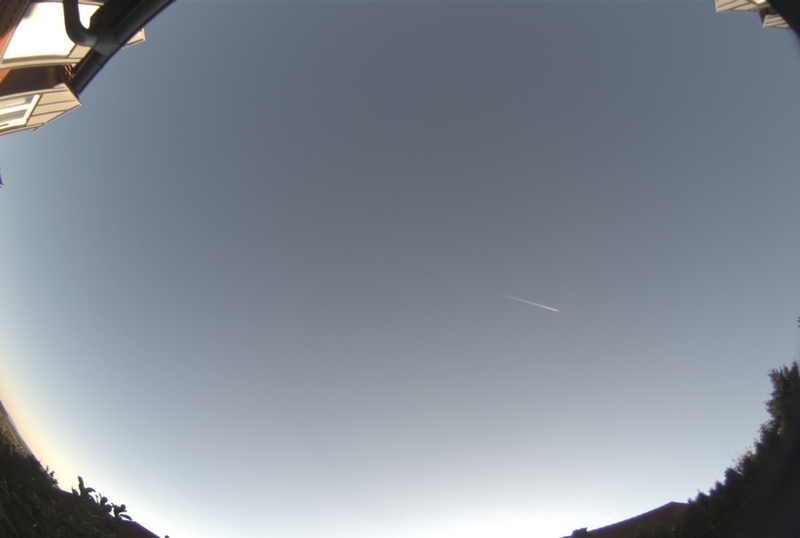 Historical image of the allsky camera on April, 30 2017, Field of view about 105° x 75°. The view is south. 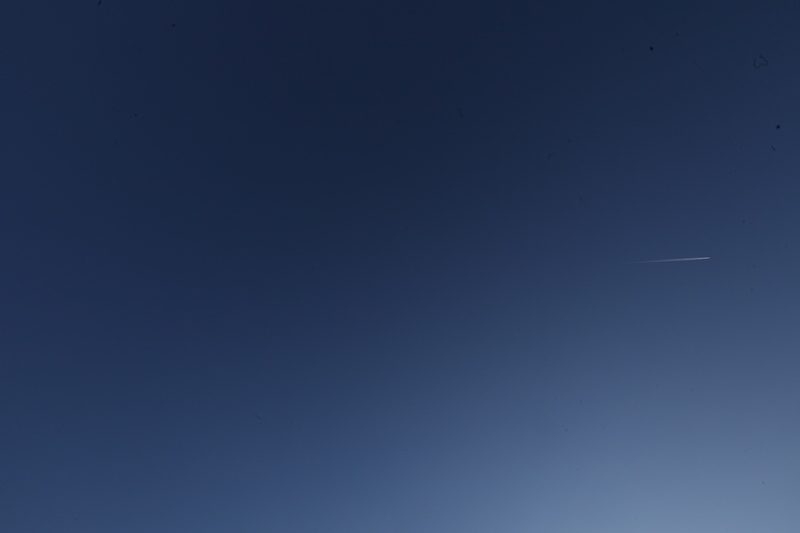 On the right, an airplane leaves its coloured tracks. At the bottom right you can see a constriction strip and rays from the moonlight. 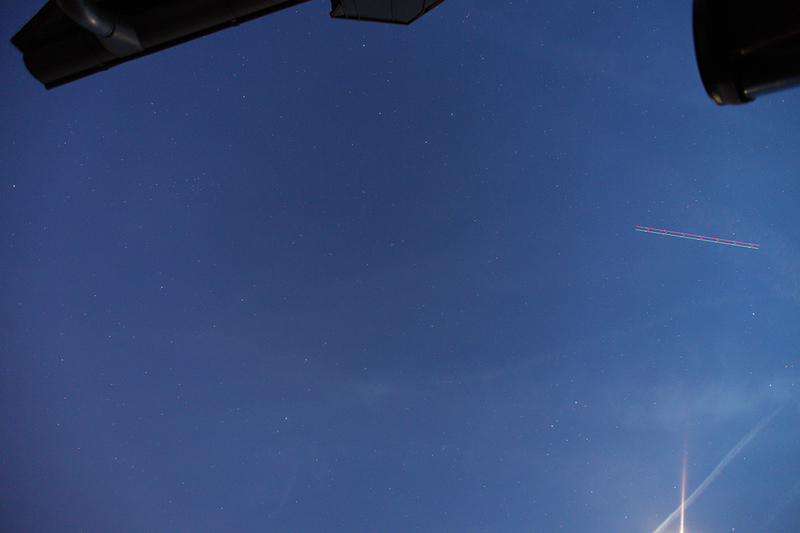 The blue background of dusk is littered with stars.In the upper part of the picture one can see the constellation Great Bear with the Big Dipper. The tower is located in a distance of 42.8 km or 26.6 miles in PA194, its height is 118m. 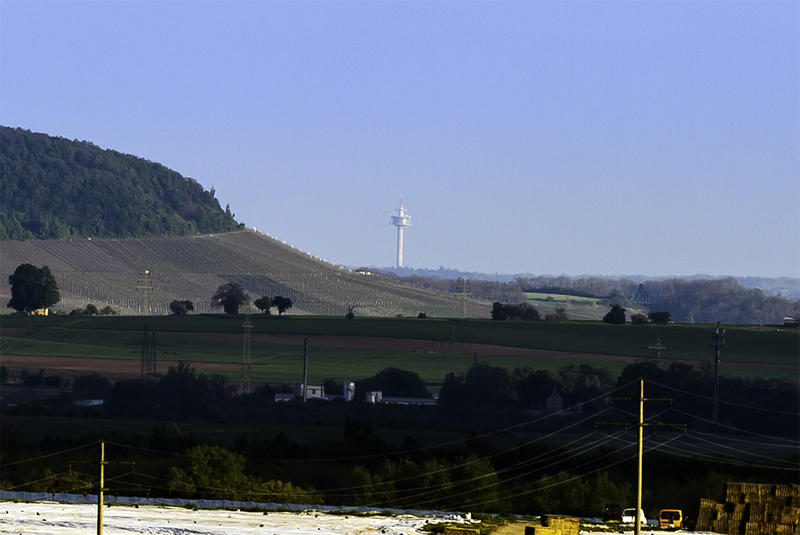 The vineyards on the left side are located in a distance of about 20 km. The sky condition was really excellent after a few days of northern polar winds. Image on May, 09 2017, UT17:41, Field of view about 1° x 0.66°. Focal length and exposure time: 400mm, f-5.6, ISO50, 1/100sec.